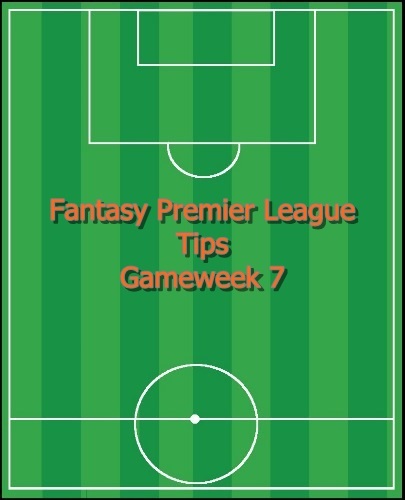 For my gameweek 7 FPL preview I want to take a look specifically at Riyad Mahrez. After just six matches he has become the hottest commodity for fantasy Premier League managers. Whether you are playing in salary league, draft league like Togga, or playing a DFS league like Fanteam, Mahrez has been one of the top players. The question now is whether he can sustain this form or will he drop off? The thing with Mahrez is that he isn’t necessarily an unknown. Last season he did make himself known to FPL managers, particularly with his price tag. This season he has set himself apart with his performances. These are all modest statistics for a first year in the Premier League. For the 2015/16 season Leicester now has a new manager and has had a season to adjust to what is expected in the Premier League. So far, Riyad Mahrez has been the player to really take this to heart. I know that this has been a very small sample size with just three matches played, but there are some very encouraging signs. The key areas to look at here are the increases in positive stats including goals scored, assists, shots per game, key passes per game, and his ability to put in defensive work. So far he has just one game in which he did not register a shot on target, that being his worst match this season in the 1-1 draw at Bournemouth. In the remaining five matches he has 11 shots on target as well as creating 15 chances and adding 25 successful takeons. This last one is the most of ANY player in the Premier League this season. His ability to take on players is the one key area to look at for Mahrez this season. I believe that his dribbling ability has taken him to the next level. If he can continue to run at players and use this to help create additional chances for both himself and the team, then he will be a player that other clubs will attempt to poach before too long. It’s this stat that I believe shows how he has begun to settle into the Premier League. Yes, there is a good chance that he can get shut down by teams that target him, but this team appears to be one that Claudio Ranieri is building around Mahrez. While he may not be able to sustain these kinds of numbers all season long, I do believe that he is a player capable of putting up consistent fantasy points each week for the remainder of the season. The next few matches will be very telling for Mahrez, and the Leicester City team as a whole. Facing Arsenal is a difficult game, but they have already shown that they can give up goals. Following this home match they travel to Norwich then Southampton before returning home to Crystal Palace. The next three they face West Brom (A), Watford (H), and Newcastle United (A) before hosting Manchester United. All of these matches present them with the opportunity to really establish themselves as a top ten side. Of all the matches leading up to the Manchester United game the trip to Saint Mary’s to take on Southampton will be the most difficult, but still one that they can get a result. I do believe that Riyad Mahrez has made a name for himself and can continue to provide points for fantasy Premier League managers all season long. He’s definitely a player to look at in all formats going forward. Let me know what you think about Mahrez and his performances this season.